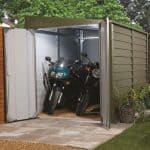 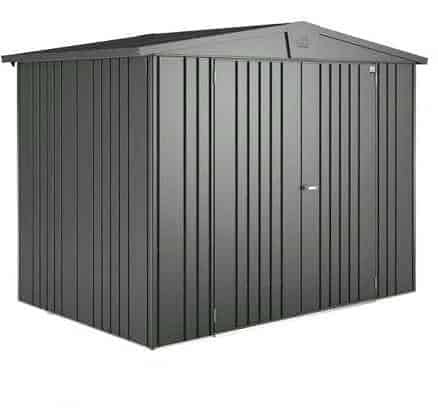 This large 10 x 5 metal shed is created from special hot dipped galvanised steel. 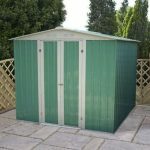 This steel brings immense durability, which is reinforced by a 20-year non-perforation guarantee. 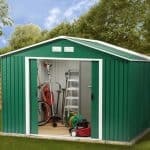 You also have a building that is special in that it requires no maintenance throughout its life. 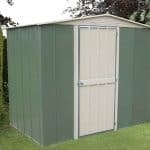 A unique double-hinged door and apex roof are two other features of this pleasing and very practical building. 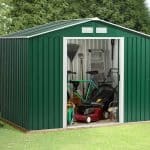 The apex roof adds height, so you can store large and bulky tools in the shed, making for even more practicality.